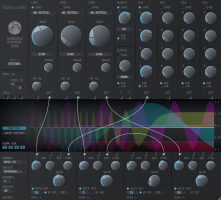 Dialog Audio has updated Modulation Processor 3244 to version 0.9.3. This update includes new features, fixes and detailed setup guides. With this update the Modulation Processor is now capable of sending 14-bit MIDI CC messages to devices, which are able to process MSB & LSB MIDI messages. These high-resolution MIDI messages allow fine parameter control. Equipped with a MIDI message rate control, especially vintage MIDI gear with slow MIDI processing units can be effectively modulated by the MP3244. To provide more flexibility within certain host applications, the plug-in type has changed from VST to VSTi (e.g. Cubase, Studio One). Dialog Audio has reworked the setup guides and the user guide with more detailed explanations. 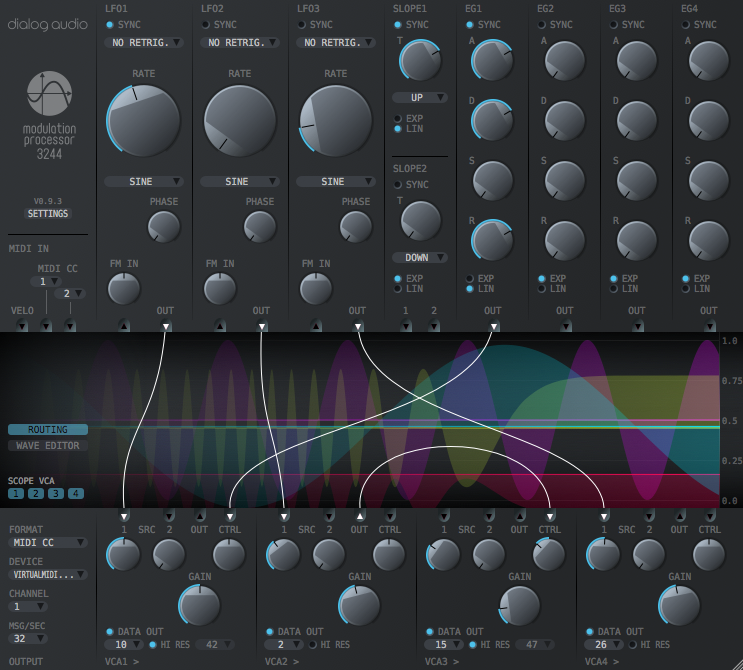 Especially the new MIDI CC / SysEx guides are highly recommended to review. For users who have encountered problems while setting up the DAW before, the new guides are essential. The new guides are available here. MIDI message send rate control. 14-bit MIDI CC messages (MSB & LSB). Interface scaling to set the size of the interface as preferred. Custom naming for VCA outputs. Loading issue in Cubase 9 (Sentinel). Audio CV issues in Pro Tools. An issue, which may has occurred while connecting to a MIDI device (Mac). Read the complete feature & fixes list here.